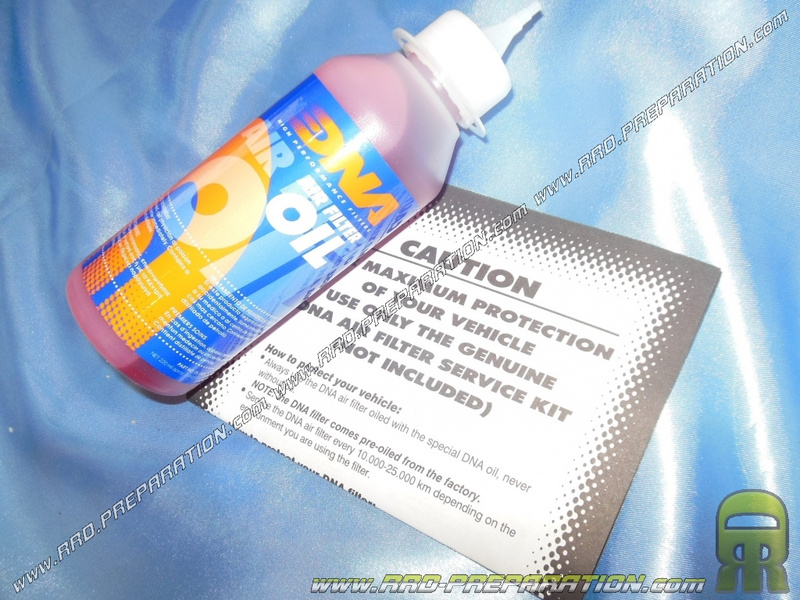 Special oil for air filter from DNA filter, one of the largest brand of filter competition model, motorcycle .... This competition oil is used to oil your air filter and thus allow a perfect filtration by sticking the tiny intruders, all without blocking the air supply. Very high quality. 220ml can with resealable cap, enough to oil more than 50 small volume 50cc cones filters!